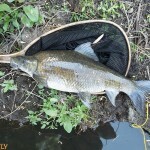 How To Catch Mudfish On Fly? 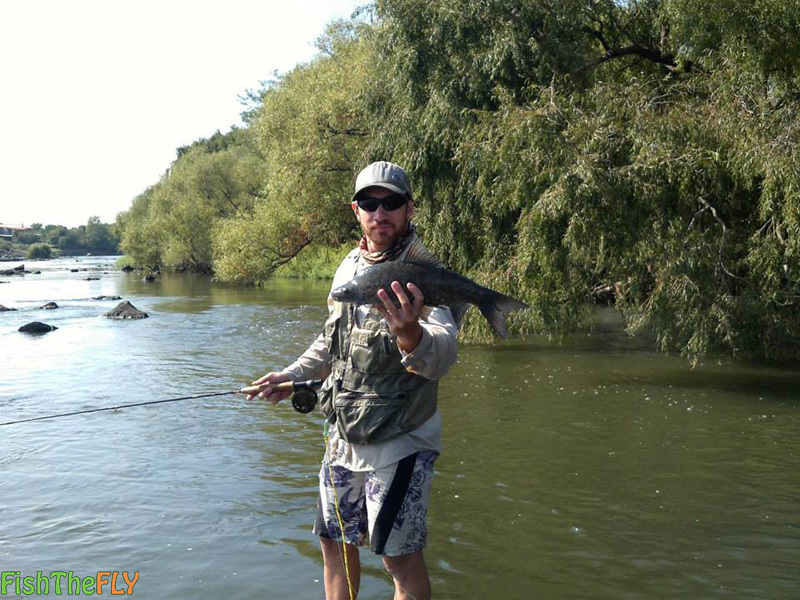 Orange River Mudfish (Labeo capensis) on fly are well known by many fly fishermen on the Orange River and Vaal River (As well as dams and other habitats that link up with these rivers), as a hard fighting and excellent sport fish on fly. The Orange River Mudfish is known affectionately as the Muddy/Muddie, just the Mudfish or in Afrikaans, the Modderbeck or Moddervis. They are an extremely strong fish that can attain lengths of over 50 centimeters and reach weights of 4.5 kilograms. They are found exclusively in the Orange and Vaal river systems and tributaries that lead into dams, where they do very well. 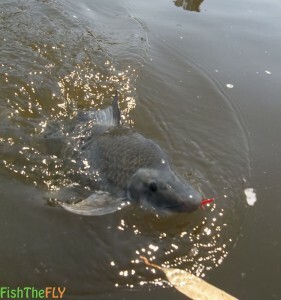 This freshwater fish species is common throughout it’s range and can be caught on a variety of techniques that you can read about further down the page. Their strong and big tails and fins make them one of the strongest fish, pound for pound, you can catch on fly. They should not be confused with the Moggel though, which has more of a Grass Carp shaped head. Read more at the links. The Mudfish gets it’s name from the largest river in South Africa, the Orange River. They are plentiful in this system, as well as in the Vaal, and can come in a variety of colours. They are generally a dark brown or dark grey in colouration, but in dams they can be a silver and even a cream colour. They often have orange spots on their bodies and can have a metallic purple/grey shine to them. The also can go almost black when they spawn and breed which happens at a similar time to the Yellowfish spawn, after the first good rains of Summer. They congregate in the shallows of fast moving water where they lay their sticky eggs. Larvae hatch after four days or so, and grow about 10 centimeters in their first year of life. Sexual maturity is reached at about 22 centimeters. The Orange River Mudfish can live for about 10 years. They prefer fast moving water with rocks and vegetation in rivers, and in dams are very adaptable, where they can survive almost anywhere. 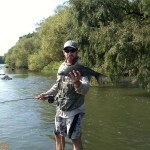 Here are some more photographs of Orange River Mudfish on fly, caught in the Vaal River system. 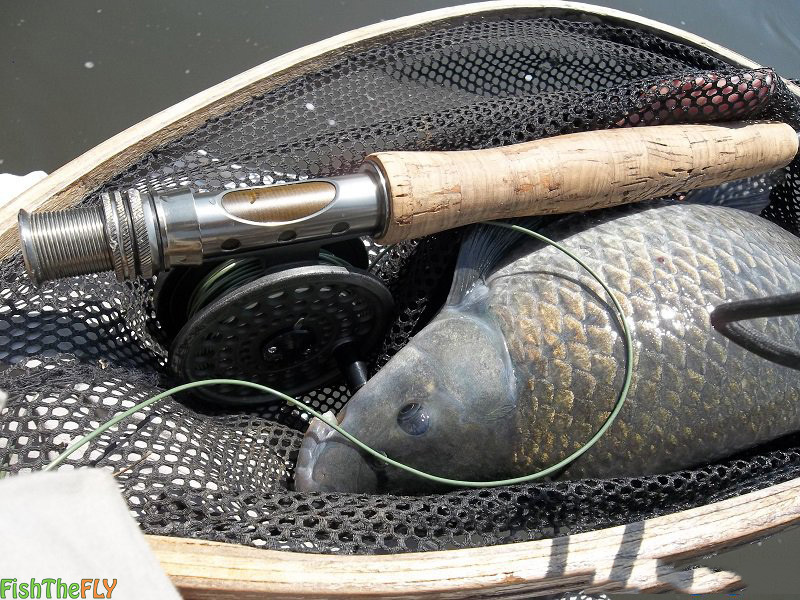 How To Fly Fish For Mudfish On Fly? 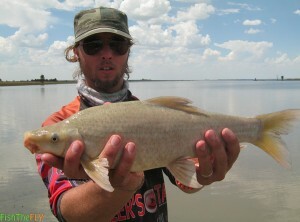 The Orange River Mudfish is an aggressive species and can be caught readily on fly. 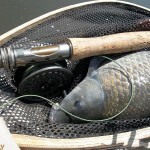 The best setup to use when targeting Mudfish on fly is a 6 weight with floating line. Tippet of 8 – 12 lbs is perfect, depending on how rocky the areas you are fishing in are. 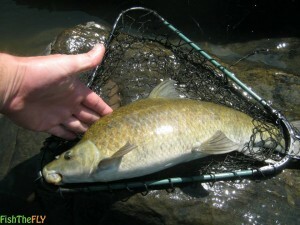 Mudfish, especially the bigger ones, can be found with Smallmouth Yellowfish, in shallow rapids behind rocks. 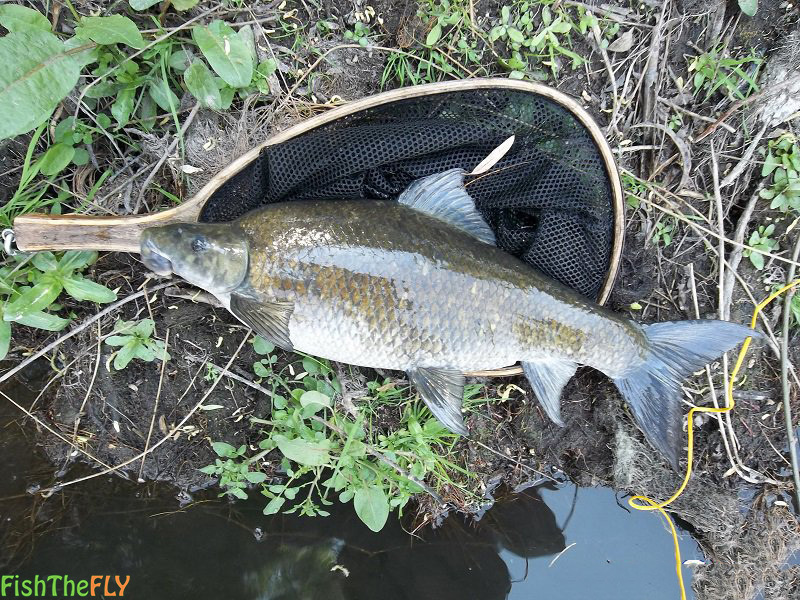 The Mudfish can also be found in deeper pools with flowing water, where they often take dry flies. Where there is flowing water or a bit of structure, you better believe that there will be a Orange River Mudfish or two hanging around. One of the best methods to target Mudfish on fly is by nymphing. The Czech nymphing method is a winner here, and the New Zealand or short line nymphing method is probably the most used. It entails fishing with two nymphs. A heavy fly, such as a Brassie or Copper John (Known as the Control fly) and then a smaller nymph such as a hotspot, or PTN tied directly below it, known as the point fly. Fish this with or without an indicator and let it drift in the current, or in the wind if you are fishing in a dam. Add a split shot or two to the setup to get it down deeper and faster, especially in heavy flows.